As with all other aspects of life, for the Chinese even religiosity is tied to their love of food. This delectable dish is the Buddha's Delight or Luohan Zhai, 羅漢齋, famous vegetarian fare that traditionally was eaten by Buddhist monks (who, as you know, are forbidden to eat meat). Nowadays, the Buddha's Delight is a popular festival dish for ordinary folk as well, to particularly be served on the first day of the Chinese New Year. For the Chinese, this eating of vegetarian dishes at the very beginning of the new year becomes their act of piety and cleansing. No church going, no confessions: just the supreme sacrifice of eating vegetarian fare (delicious vegetarian fare, I might add). For us, however, it was mostly something special and easy yet spectacular to cook up for a simple Chinese New Year celebration at home. Another entry in our Chinese Salted Fish dishes for the jolly old Salted Fish lover (or bold new adventurer!). It really is worth exploring Salted Fish, even though it may seem over whelming at first. I still remember the first time I tried anchovies and thought to myself, whoa, what the heck is this stuff?! And now I love and appreciate anchovies tremendously. Chinese Salted Fish is like that, I think, as are many, many other wonderful foods that you come know slowly, exploring and questioning, until the taste blossoms and you fall in love. Or at least in serious like. Really, people nowadays don't have time enough for relationships with their food. I did not particularly like Salted Fish at first. But now? What can I say... What can compare with the unique taste and texture of this humblest of preserved fish created with mere salt, the loving rays of the sun and Father Time. Anyways, to celebrate the Salted Fish yet again, we have here another classic Chinese dish, Steamed Pork Patty, paired with the Chinese Salted Fish. Yummy, yumm, what a rice killer! This dish has the most interesting Chinese name, 生死戀, which is the same as the title of the 1955 movie Love is a Many-Splendored Thing starring William Holden and Jennifer Jones. 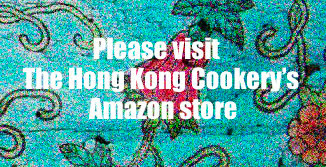 It is a most interesting movie to check out if you are interested in old Hong Kong. You can see for yourself how different and beautiful Hong Kong used to be. Anyways, the literal translation of 生死戀, is "life, death and love", referring, I'm assuming in the case of this fish dish, to the "live" (or recently alive) fish on the bottom, the "dead" (salt/sun baked preserved) fish on top and the "love" is their consummation of flavors in this delectable dish. So I thought it was really cool that this dish and the glamorous Hollywood movie have the same exact name. What a quinky-dink! I wonder which came first?